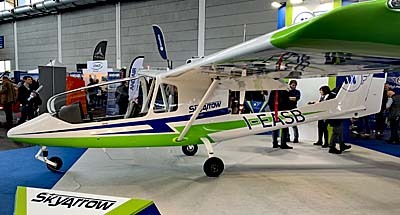 Aero Friedrichshafen continues, delivering a broad preview of new aircraft projects plus a glimpse into light aviation in Europe. New ideas run from the fascinating to the futuristic. Some will never make it market but they can contribute ideas to be used on other designs, enhancing overall progress. How does Europe do so much of this? 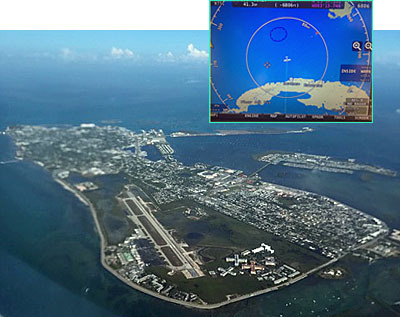 Government funding often comes up in discussions with developers; this is extremely rare in the USA. 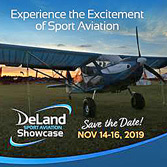 Attending more than 20 Aeros, I've found new ideas every time. Indeed, I usually run out of time before I can get to hear every story. Aero never fails to deliver. Tecnam P92 Mk II — Speaking of progress never stopping, how about Italian juggernaut, Tecnam? 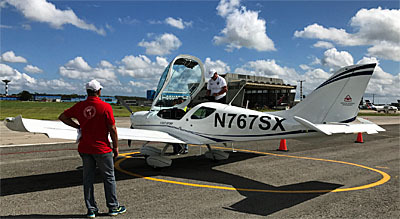 Their large space included their sweeping flock of high wing and low wing sport planes, certified four seaters, military projects, their popular Twin multiengine four seater; the company even showed their 11-seat Traveller regional airliner. 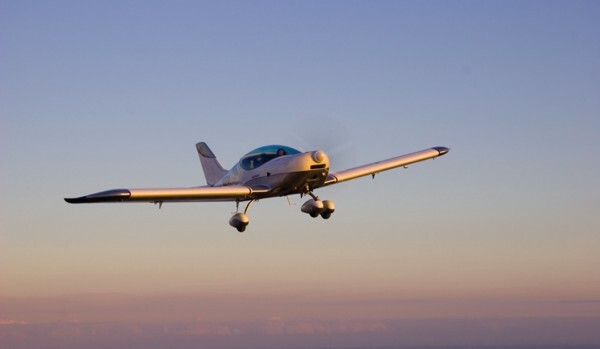 As if all that wasn't enough, Tecnam is a lead in "H3PS," a hybrid electric propulsion project that includes Rotax and Siemens. 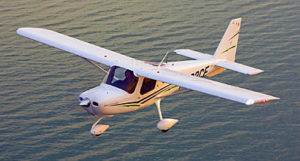 Tecnam engineers also managed to find time to introduce another Mk II project, this time for their best seller, the much-enjoyed P92 series — it has had various suffixes added as the model changed. Now, P92 has gone through a fuller redesign. 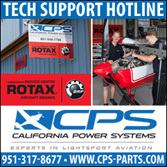 Other recent upgrades include the Sierra Mk II and the P2008 Mk II Premium Edition. P92 Mk II may be their most beautiful yet. It reveals sculpted composite fuselage lines that resemble fine Italian automobile bodywork. 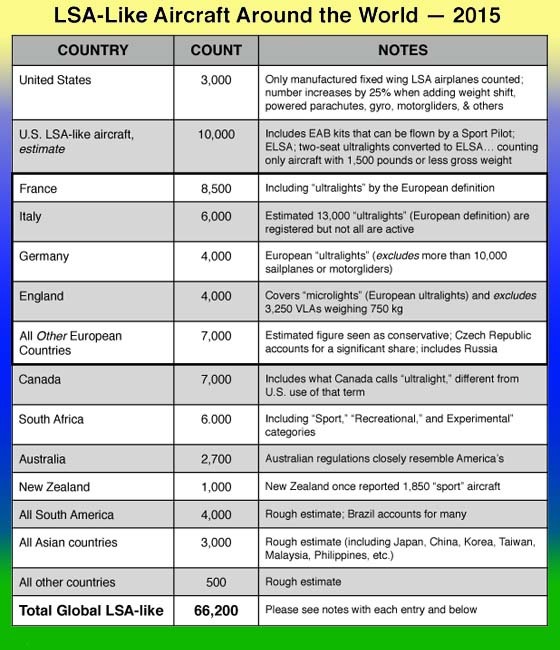 It is amazing for me to watch this model — more than 2,500 of which (this single model!) 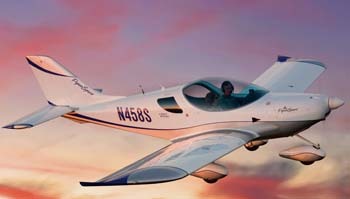 are flying — transform into an attractive aircraft. 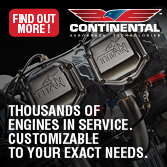 The interior treatment complemented the exterior shapeliness. 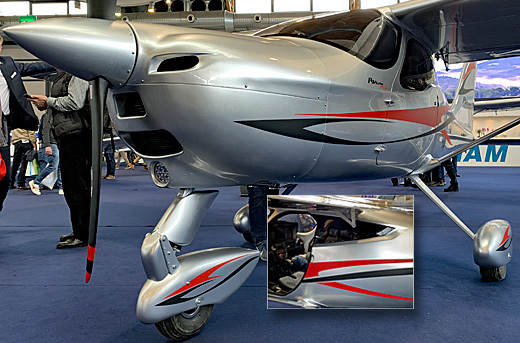 "P92 Echo, after 27 years and many different versions, now comes with a carbon fiber fuselage, coupling retro style and modern technology," said Tecnam. 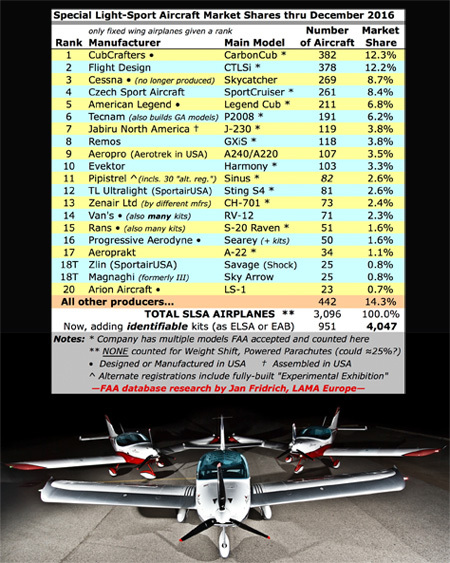 Of course, P92 has always been a great flyer and has an attractive price from the largest producer in the segment. That sounds like a sure bet. 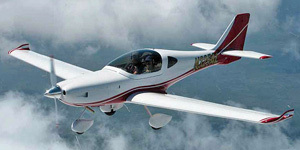 Magnaghi SkyArrow — The big news for SkyArrow was winning full approval under the EASA CS-LSA standards. 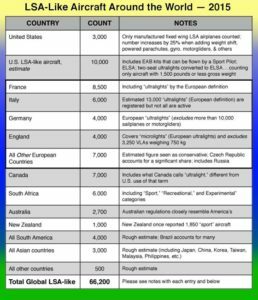 In case you're not up on your letter abbreviations, this is the European Aviation Safety Agency Certification Specification for Light-Sport Aircraft. That mouthful explains the letters. 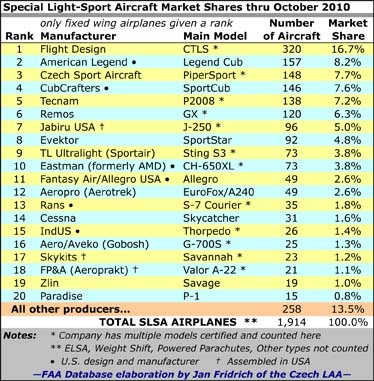 Yet gaining EASA's blessing means Magnaghi's SkyArrow can add another plaque on its corporate wall. 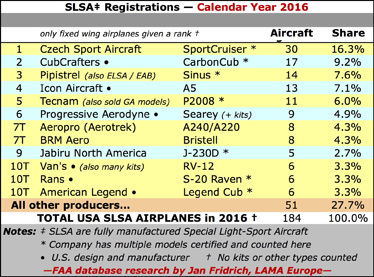 SkyArrow was already a U.S. LSA and it had a Part 23 certificate. One thing is sure: SkyArrow is a well-proven aircraft. 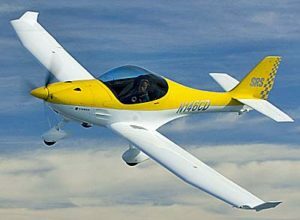 Government approval is great and undoubtedly opens some doors but I recall this design for its wonderful flying qualities and certification certainly did not change that. 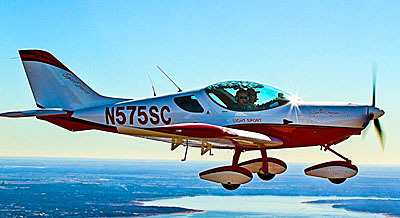 From my first flight many years ago, I have experienced SkyArrow's excellent and forgiving flight qualities while also loving the huge visibility from the front seat. One more thing on SkyArrow. The aircraft was one of the first in the sector to offer hand controls allowing pilots with no use of their legs to be able to fly. Even more, Magnaghi's Valentina Sodano told me the company provides the hand control hardware free of charge to disabled individuals. 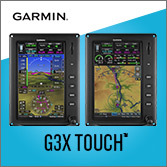 Especially since the hand control system is so neatly integrated into SkyArrow's highly-organized cockpit, this gesture is appreciated by many that organizations like Able Flight have assisted. Valentina and also took a moment to remember Jon Hansen, who recently passed. 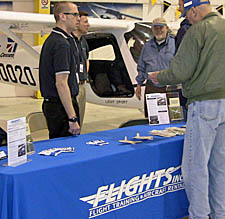 He was essential in promoting the SkyArrow and supporting Able Flight in its worthy mission to help disabled pilots learn to fly. 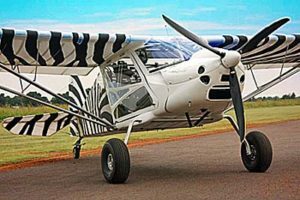 JH Aircraft Corsair — In Aero 2016, I was most intrigued in a project built for the German 120-Kilogram Class project (very similar to a U.S. Part 103 ultralight). This was Corsair by Jörg Hollmann, namesake of JH Aircraft. 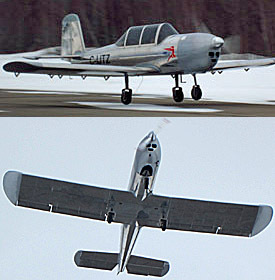 JH Aircraft's super light design resembles a Chance-Vought F4U Corsair military fighter with its highly distinctive inverted gull wing design …except this one is for fun, not for fighting wars. In 2016, this creation was a collection of bare bones made of carbon fiber tubes, a very rare main structure but one helping achieve remarkable lightness for such a recognizable design. By 2018 it was fully done and ready for flight. 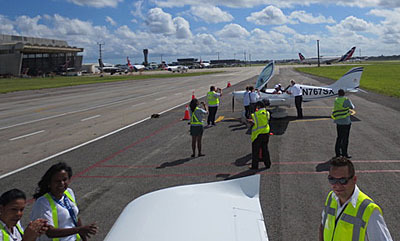 Now in 2019, Corsair made numerous flight and boasted its first customer deliver (blue aircraft pictured nearby). 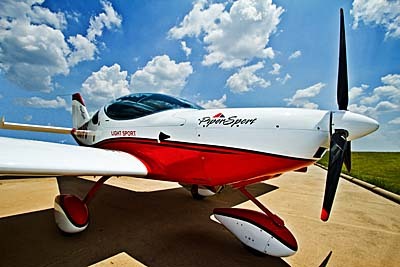 U.S. representative Sportair USA has sold several, Jörg told me. The first should arrive in the USA by fall 2019. 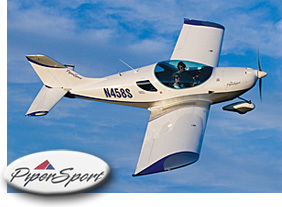 CSA Delta Cruiser — You know SportCruiser, one of the success stories among all Light-Sport Aircraft. While a major claim to fame was getting Piper Aircraft to represent the design as PiperSport, the truth is all of Piper's sales amounted to only about 10% of total production to date. The design stands on its own merits. 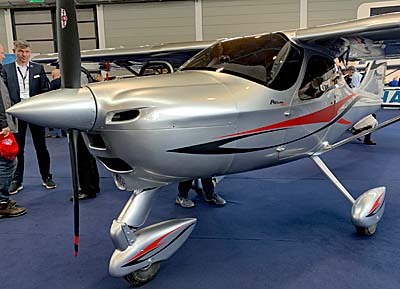 However, Czech Sport Aircraft never brought the Parrot to market (despite displaying it Aero a few years back) so the company has been a one-product show …until now. 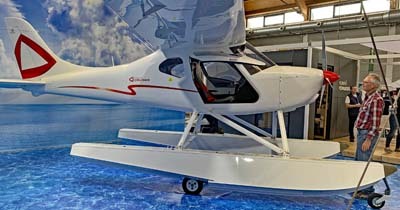 At Aero 2019, I checked out their Delta Cruiser, a clean and simple high wing aircraft atop amphibious floats. 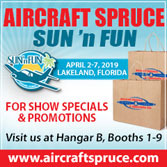 I'd been encouraged to come find the new offering by Josh Scheid, sales and marketing manager for Cruiser Aircraft, the U.S. marketing arm. 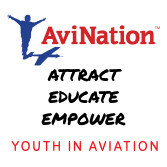 You can measure the appeal of water flying when you see that people are actively promoting this kind of flying in countries where very little of it is allowed. Almost no lakes in Germany allow seaplane operations. 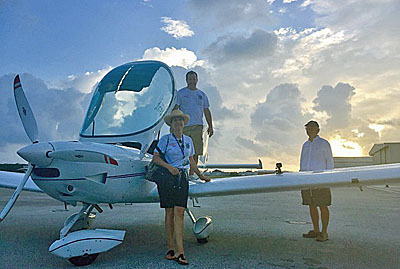 Reportedly France has only two lakes in the entire country that allow seaplane ops. However, America offers an abundance of landable waterways so I see why Josh was excited about the new entry. 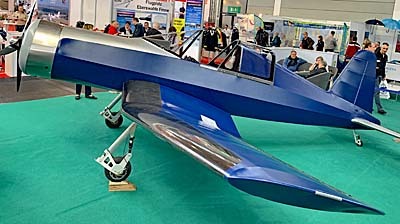 As Aero Friedrichshafen rolls on for two more days, so will our updates. Click or tap back tomorrow! 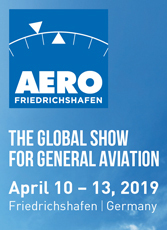 Aero Friedrichshafen continues, delivering a broad preview of new aircraft projects plus a glimpse into light aviation in Europe. New ideas run from the fascinating to the futuristic. Some will never make it market but they can contribute ideas to be used on other designs, enhancing overall progress. How does Europe do so much of this? Government funding often comes up in discussions with developers; this is extremely rare in the USA. 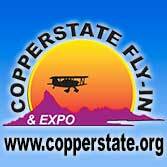 Attending more than 20 Aeros, I’ve found new ideas every time. Indeed, I usually run out of time before I can get to hear every story. Aero never fails to deliver. Tecnam P92 Mk II — Speaking of progress never stopping, how about Italian juggernaut, Tecnam? 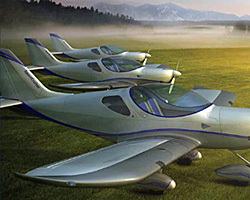 Their large space included their sweeping flock of high wing and low wing sport planes, certified four seaters, military projects, their popular Twin multiengine four seater; the company even showed their 11-seat Traveller regional airliner.